A New Direction ...A New Company ...A New Role - VIRTUALIZATION IS LIFE! Three and a half years ago I was given a brilliant opportunity to join what was at the time Australia’s leading vCloud Powered Service Provider…Zettagrid. At that time I talked about needing direction in my career and the opportunity to join Zettagrid was undeniably one of the best decisions I have made in my life. Fast forward to today and there is no doubt that Zettagrid has extended it’s lead as the premier vCloud Air Network provider, not only in Australia, but also in ANZ and beyond. I’ve been lucky to work with a tremendous team that pushes the envelope when it comes to automation and innovation and we have been able to produce a number of great products over the past three and half years as well as grow Zettagrid into a mature and respected IaaS provider with a rock solid platform and great customer success. In a nutshell Zettagrid do great things with great technology by taking leading vendor technologies and automating around those vendor products to create new service offerings for Zettagrid customers to consume. One of those leading vendor’s is Veeam and it’s with great excitement (and indeed a touch of sadness) that I can finally announce that I will be leaving Zettagrid today to start a new role at Veaam as a Technical Evangelist in the Technical Product Marketing & Evangelism team headed by Rick Vanover. The role will be focused on Veeam’s Service Provider market and will allow me to continue the great work I’ve been able to achieve with the talented team at Zettagrid in bringing to market Veeam Cloud Connect and Veeam Cloud Connect Replication as well as working with Veeam Cloud Service Providers to continue to use the whole Veeam Availability Suite to protect workloads and ensure they are always on. When Veeam announced their vision for the next generation of availability in August I was more than impressed with what I saw…for the first time I understood the bigger picture and also saw a company that was more than just about backing up VMs. 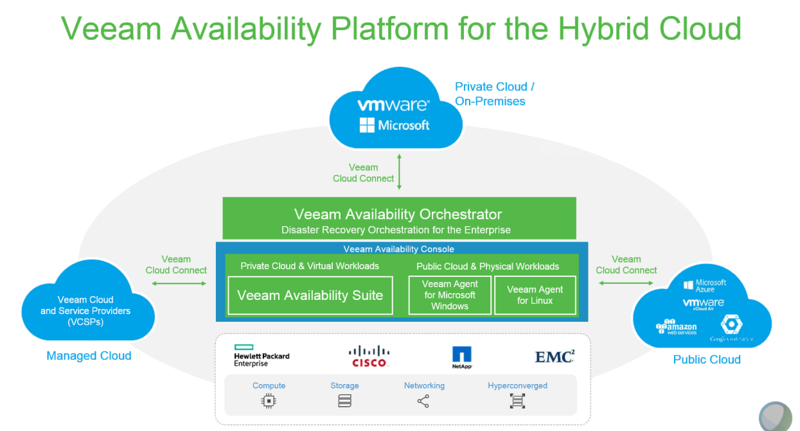 The vision is there to see in the graphic above and Veeam Cloud Connect and Service Provider technologies are core to what Veeam wants to achieve. In addition to that, the company has reinvested in developing around vCloud Director and is about to launch a game changing self service, multi-tenant portal for vCloud Director in Veeam 9.5. In addition to the cloud and service provider angle, the opportunity to work in Rick Vanover‘s team that contains people of which I have huge respect for in the industry in addition to have the opportunity to work with Veeam’s Product and Engineering teams meant this was a role I had to seriously consider. Technical marketing and content creation is something that I have gravitated towards and I am going to enjoy the challenge of stepping a little bit out of my existing technical comfort zone. Certainly this role will expand my current technical and product space beyond VMware technologies and I’ll have to dust off my old Microsoft Hyper-V skills and not be so quick to write off (sic) Azure. In terms of what this means for my work in and around the vCloud Air Network of which am extremely passionate about…this role should and will allow me to interact with more people within the vCAN and I get to continue working with vCloud Director and other VMware technologies. 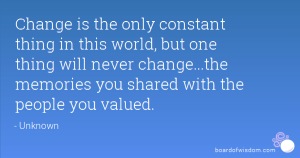 This won’t change the drive that I have to ensure the vCAN continues to grow…and as you have hopefully read over the past week, the passion remains strong…and will remain strong! To the team at Zettagrid and all who have made the last three and half years enjoyable, rewarding and above all extremely satisfying…I thank you. I expect the company to continue to innovate in the space and start to branch out beyond Australia and become a true powerhouse in IaaS as well as Backup and DR as a Service. Change is not only the only constant in life, it’s one that has to be embraced and I look forward to starting on the next chapter of my career with Veeam. Congrats mate and all the best in your new role! All the best in your new role. VEEAM can be very happy to have you as you are amazing. I always liked your professionalism when working together and your blog content is well above average. Btw don’t worry about Hyper-V as we say in Germany they also only cook with water and the storage stack is definitely not more complex than ESXi. Congratulations Anthony and all the best with the new role. Congrats on the new Job, sure you will love it!